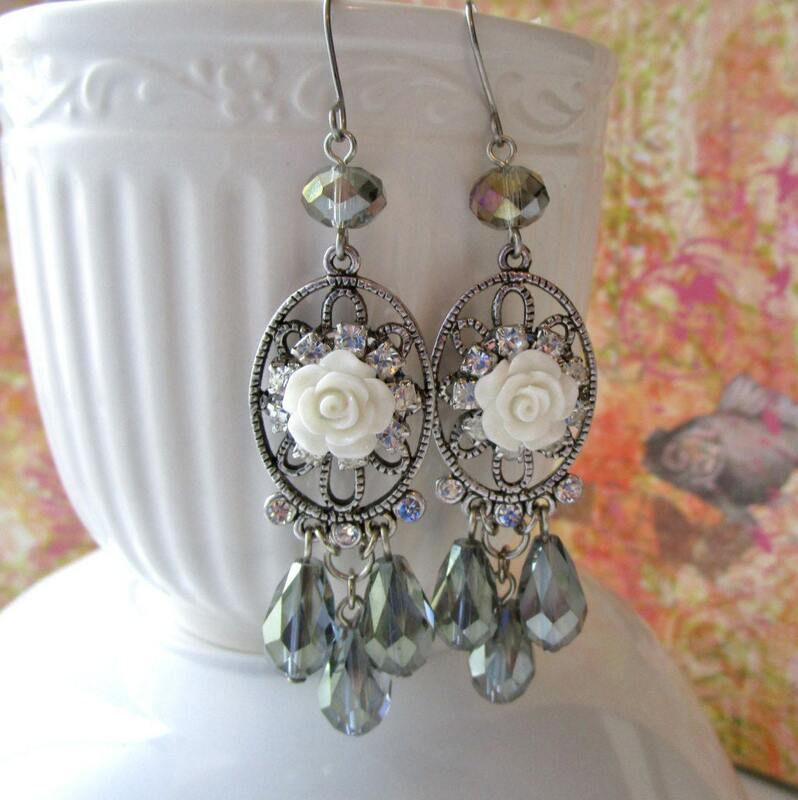 Beads Used to make these beauties: White Resin Roses, Silver Rhinestone Chain, Decorative Silver Plated Metal design, Silver Accent plated metals, Gray Shade Crystal for the drops. Measure: approximately 3 inches from the top of earwire, just under 1 inch across at widest. All of Made On Urth Jewelry is handmade and high quality!